Reinforced roof structure atop the Kalgoorlie Consolidated Gold Mines in the Australian Outback. Courtesy of Advantic. Rust, corrosion and exposure to harsh weather are common plagues for ageing structures containing steel and concrete. But times have changed and materials have evolved. Dayton, Ohio-based Advantic is designing and fabricating innovative polymer composites that provide high-performance alternatives to traditional concrete and steel – disrupting the construction industry with lighter, more durable materials that help structures stand up to extreme environmental conditions. Composites take two dissimilar materials and combine them to create a lighter or longer-lasting alternative. “What we're doing, mainly with fibreglass and some different types of resin chemistries, is taking materials that have been developed in the aerospace industry and using that technology in the civil market and construction,” says Advantic Vice President of Operations, Jeff Nielsen. 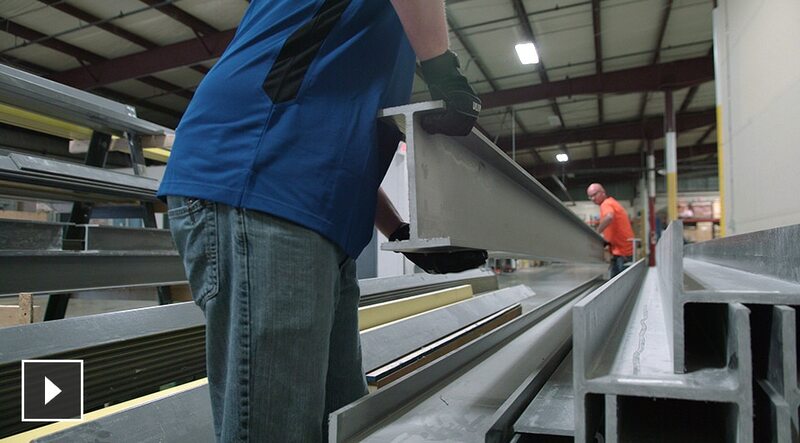 Prefabrication on-site at Advantic's Dayton, Ohio headquarters. Courtesy of Advantic. Advantic completed its first big project in 2013, when the company helped the New York City subway system meet new fire-code requirements for ventilation by casting polymer composites. The new material is 75 per cent lighter than concrete, maintains the same compressive strength, is noncorrosive and is much more permeable to radio frequencies – critical to the project's maintenance requirements. Advantic's next project proved an even bigger challenge: reinforce a stadium-size, corroding steel roof structure over the Kalgoorlie Consolidated Gold Mines in the harsh Australian Outback. The challenge? The team had only 10 days to do it. 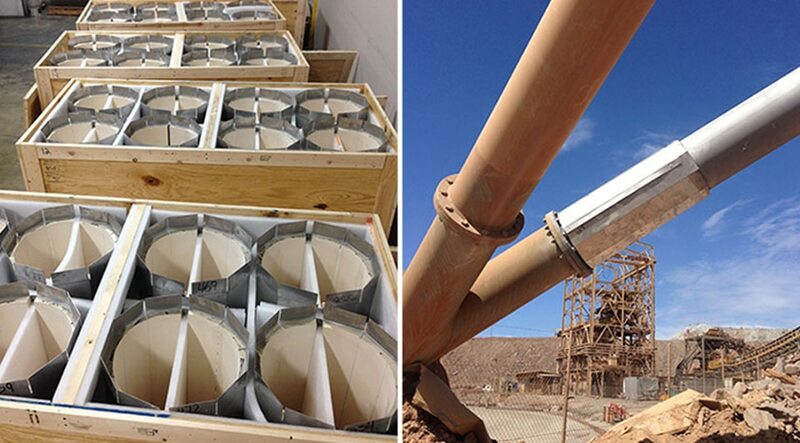 Advantic's solution for the Kalgoorlie mines, called Structural Syntactic Jackets, were light enough to be shipped airfreight to Australia from Ohio. At right, a closeup of the Jackets in context. Courtesy of Advantic. Newmont Mining Corporation had spent years searching for a Kalgoorlie solution and was now facing a shutdown window. The slowness and cost of traditional reinforcement options, requiring extensive installation crews, was a major barrier. When approached, Advantic was quick to jump at the opportunity. That solution, 700 pieces in all, was easily installed by teams of two and a boom lift – in nine and a half days – beating the deadline and saving Newmont roughly $6 million AUD. Real-world validation for that work came in mere months through an email with an ominous subject line: “Massive storm in Kalgoorlie.” A strong storm cell had made its way across the Outback, damaging a number of structures in the community. However, attached to the email was a picture of that storm, with Advantic's structure standing strong beside it. “Hey, congratulations, full-scale load test passed,” read the rest of the email. 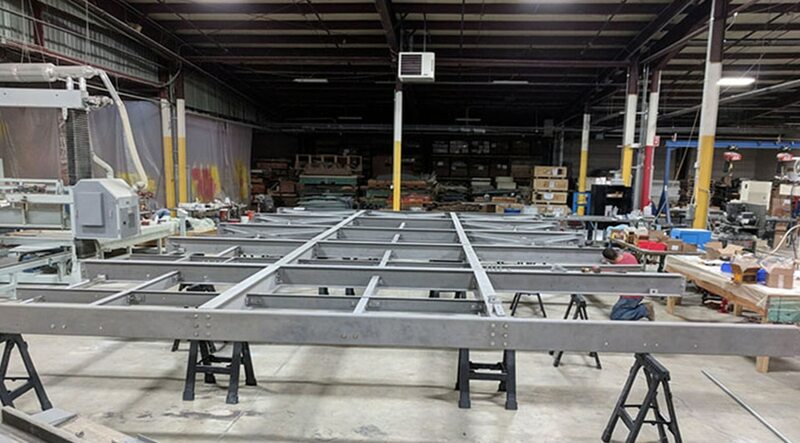 In another test of Advantic's materials, Cleveland Metroparks Zoo approached the company about modifying its gorilla enclosure. 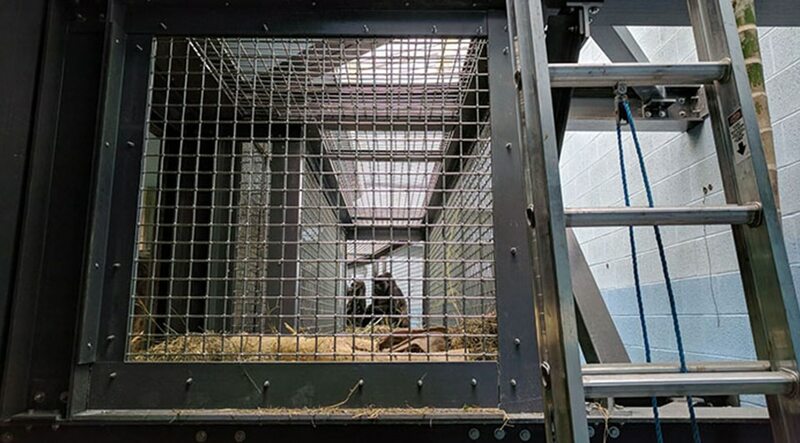 To help the zoo introduce a new gorilla into the environment and give all the animals more space, Advantic designed the Gorilla Chute, an elevated tunnel that offers the gorillas a 360-degree view of their habitat. In this situation, composite beams were preferable to steel to lessen the disruption to the gorillas and neighbouring animals. Advantic's Gorilla Chute gives gorillas at Cleveland Metroparks Zoo a 360-degree view of their enclosure. Courtesy of Advantic. Learn how Advantic develops its composite materials with Fusion 360. Watch video (2.03 min.). Cast polymers are the lightest of Advantic's concrete alternatives, which can often be manoeuvred without the help of expensive and dangerous overhead equipment. Advantic also develops proprietary polymer concrete formulations that are heavier than the cast polymers to line utility vaults and trenches because they're not susceptible to alkaline corrosion and have no permeability issues. “With the concrete and steel alternatives, these composite materials really extend the toolkit that a builder or engineer has to work with,” Nielsen says. Doudican agrees, noting that builders can still be apprehensive when encountering Advantic's materials for the first time. “But the first time a steel erector tells you, ‘Wow, that stuff was amazing – we were carrying it around on our shoulders!' or ‘We put this up three, five, 10 times faster than it could have been with conventional materials,' that kind of feedback tells you you're heading down the right road,” he says.